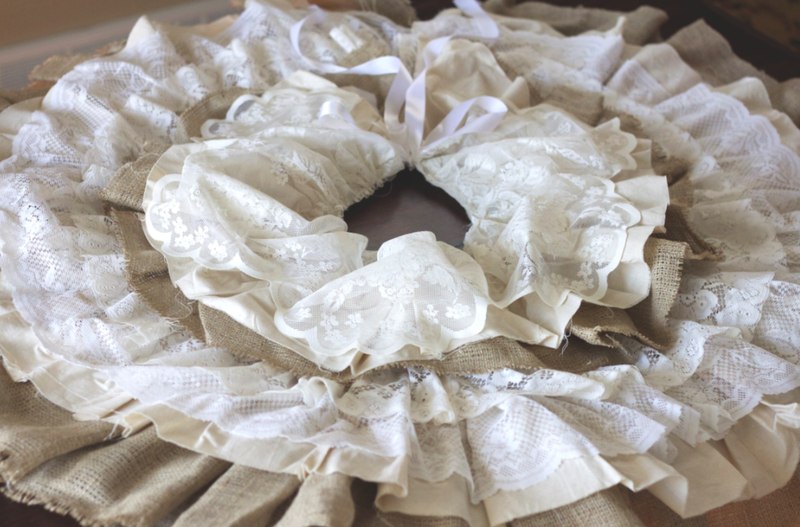 A perfect blend of lace, burlap and muslin come together to create this one-of-a-kind farmhouse Christmas tree skirt. ATTENTION! We are GIVING 1 Tree Skirt Away RIGHT NOW on Instagram! Enter HERE! 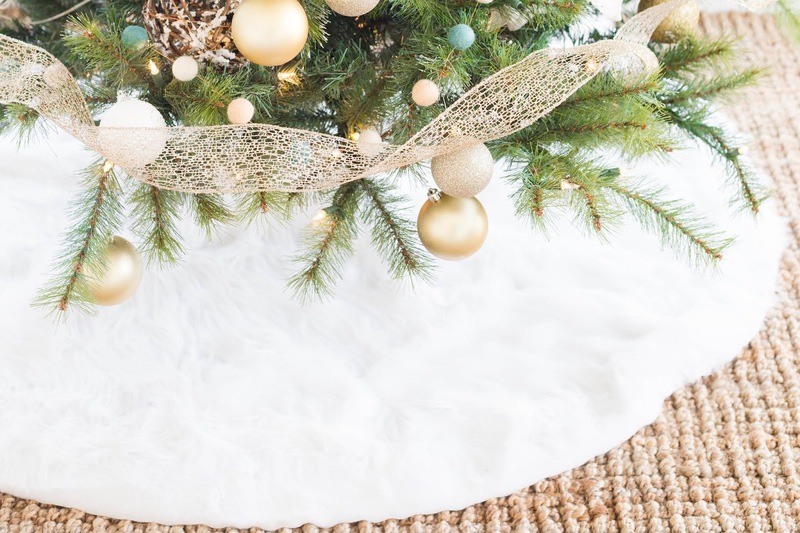 You may also like our No-Sew Faux Fur Tree Skirt tutorial. Make a perfect circle base: *Using one yard of fabric, create your base. Remember in 9th grade when you used a compass to draw a perfect circle? We used the same concept, using a string and pencil. * For this tree skirt, the circumference of your base should be 36". This means the radius is 18". Make Layered Ruffles * There will be 7-8 rows of ruffles depending on the width of the plate you used for the center. 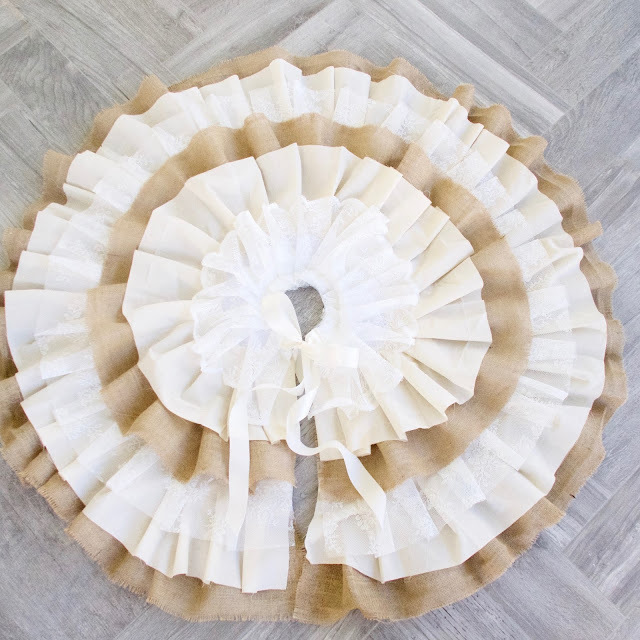 * In order to determine the length of each ruffle we used the geometric formula, ((2 x radius) x 3.14)2 * Here are the measurements for each row starting from the outer most edge of the base: Row 1 - 226 inches Row 2 - 194 inches Row 3 - 169 inches Row 4 - 144 inches Row 5 - 119 inches Row 6 - 94 inches Row 7 - 69 inches Row 8 - 43 inches * Each row is 8 inches wide. We hope you enjoy your beautiful tree skirt this holiday season! 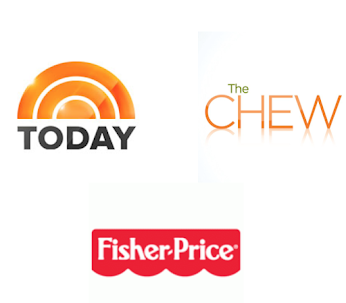 Want more detailed step by step photo instructions? See our original Tree Skirt Tutorial blog post. 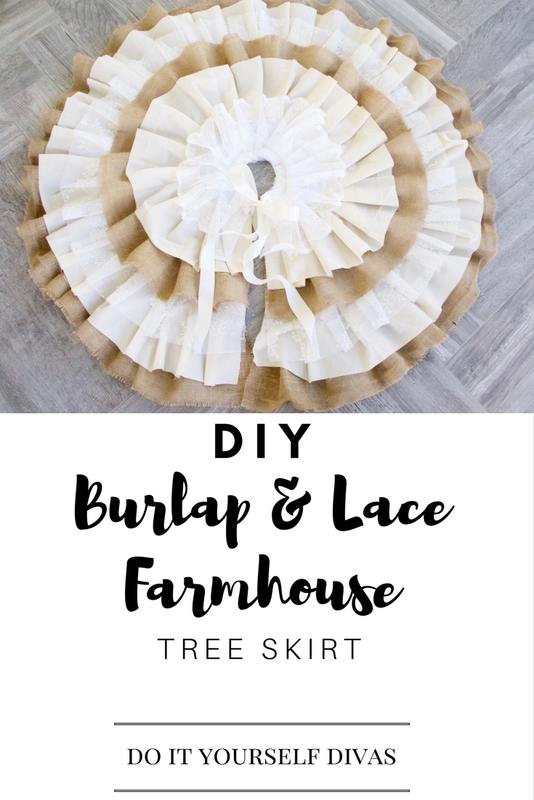 AND don't forget about our DIY No-Sew Faux Fur Tree Skirt.